Organizations should stop looking at workplace flexibility—which includes telework—as a benefit, perk or accommodation, and instead start looking at it as a strategic way of attracting, retaining and engaging employees, according to experts at a recent workplace flexibility conference. That was true 16 years ago, when the Boston College Center for Work & Family conducted a study on telecommuting, and it’s true now, said Jennifer Sabatini Fraone, the college’s associate director of marketing and communications. Fraone was part of a panel discussion at the Telecommuting, Remote, and Distributed (TRaD) Works Forum in Washington, D.C., where speakers presented research outlining the growth and benefits of telework and workplace flexibility. Fraone said that in order to “make implementation of a flexible work program successful and embed that into the fiber or culture of an organization,” companies should train managers on how to lead flexible and remote teams. She said fewer than 22 percent of companies do this, even though research shows that training managers on how to manage employees who work offsite has a great impact on the success of a workplace flexibility program. Rose Stanley, a senior practice leader at WorldatWork, said that a recent study of HR professionals found that allowing employees to telework on an ad hoc basis was the “No.1 form of telework.” Some 85 percent of employers allow telecommuting on an ad hoc basis, 82 percent allow flexible scheduling and 82 percent allow workers to work part time. “While many managers still find it difficult to estimate the productivity of teleworking employees, 48 percent believe teleworkers are equally as productive as in-office employees,” the WorldatWork study revealed. Conference speakers said other statistics consistently show that allowing telework and workplace flexibility results in decreases of absenteeism and turnover—and increases in productivity and performance. Additional advantages include reducing employees’ work/life balance conflicts and companies’ real estate costs. “Offices are vacant 60 to 70 percent of the time,” said Kate Lister, president of Global Workplace Analytics. “The employees have already left the building and whether they are nine feet, nine floors or nine time zones away, they’re working virtually. You don’t get up to go talk to the guy 10 cubicles down,” she pointed out, “because it’s easier to e-mail.” Companies need to “get over” allowing employees to work remotely. “Eighty percent of people want to telework; 50 to 65 percent hold a job that could be done remotely at least half of the time,” Lister added. “If they don’t feel that comfortable asking for it, then you don’t have a culture that embraces it,” Stanley said. 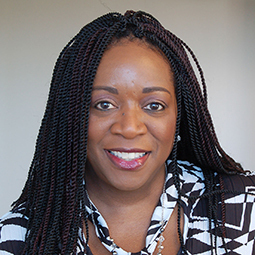 Aliah D. Wright is an online editor and manager for SHRM.